Not only is the Genesis Rollator stylish , its also a very robust dual folding rollator. Its also ultra compact at a size of (HxWxL) 38.5 x 28 x 85.5cm. The wheels are 8" and this rollator can be used both indoors and outdoors. Features Kerb steppers and has a large width backrest and seat. Not only is the Genesis rollator stylish, it’s also a very robust dual folding rollator. It’s also ultra-compact at a size of (HxWxL) 38.5 x 28 x 85.5cm. 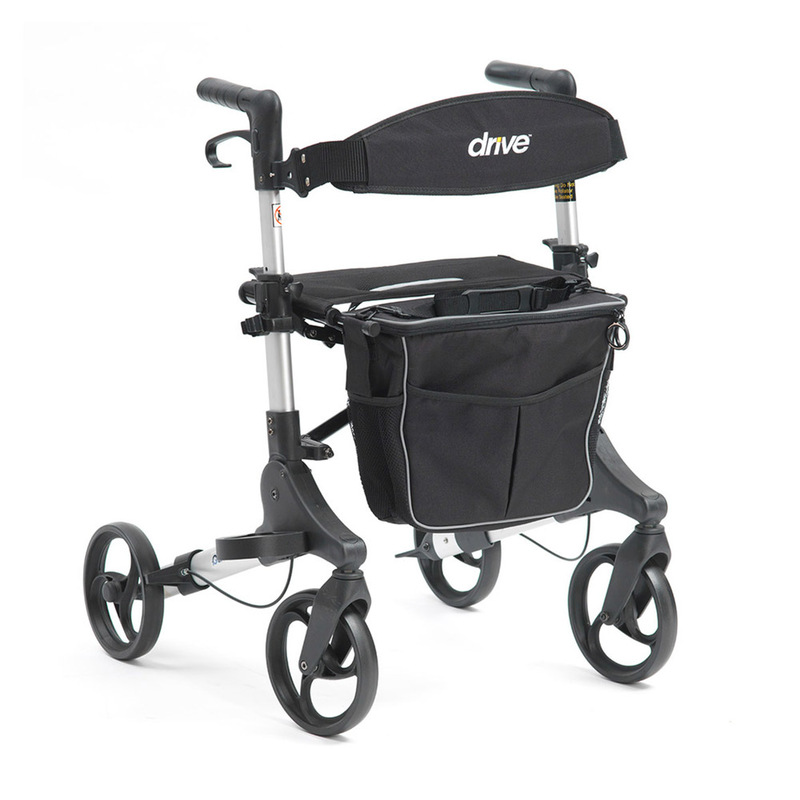 The wheels are 8" and this rollator can be used both indoors and outdoors. Features Kerb steppers and has a large width backrest and seat. The Genesis also includes a unique cane holder, which can hold either single or tri based walking sticks and features a large zipped, removable shoulder bag. There are height adjustable handles and a safety close clasp for folding.